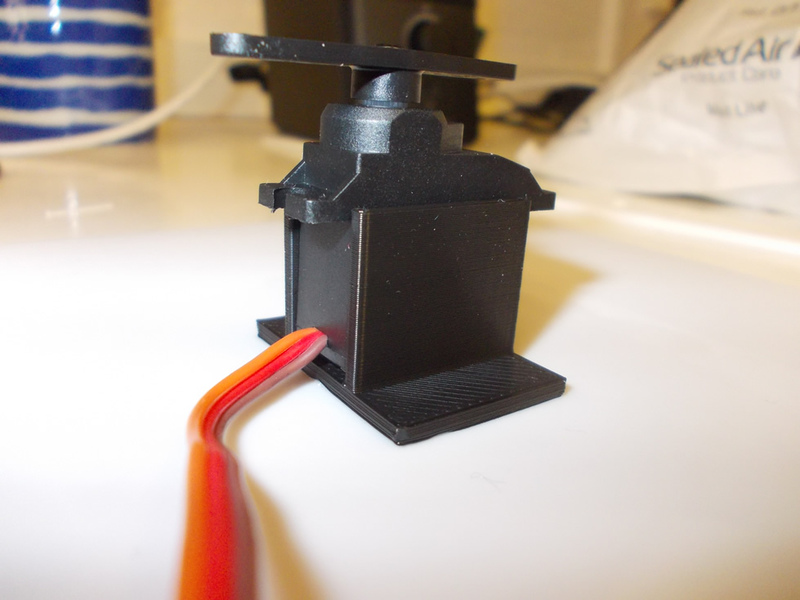 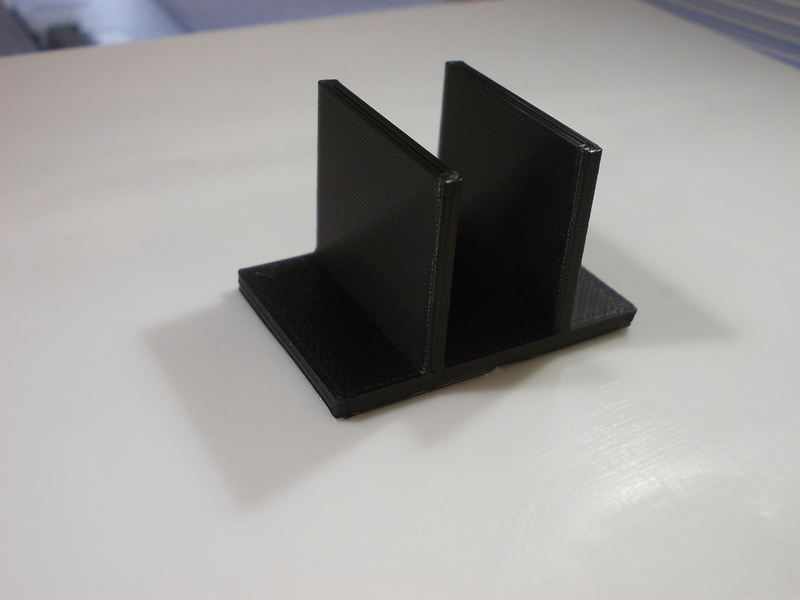 The servo bracket (version 1) straight after 3D printing. 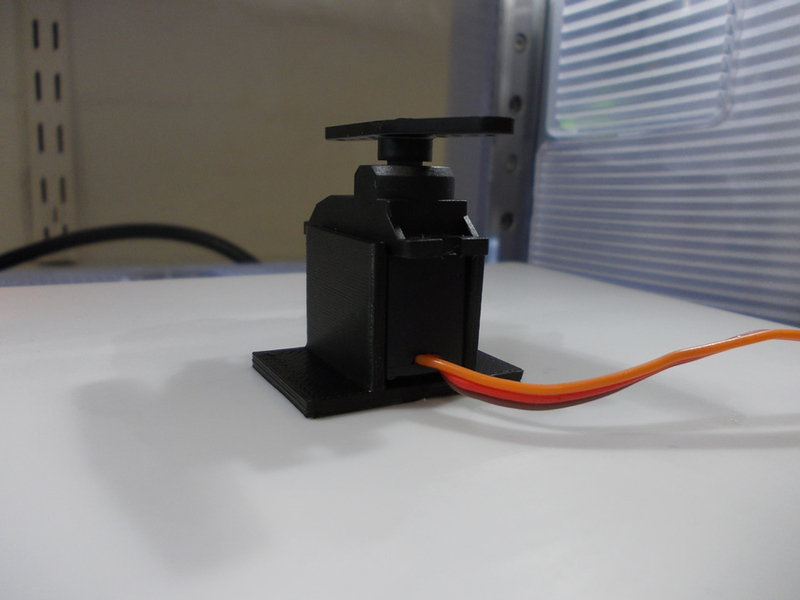 Close up of the servo bracket. 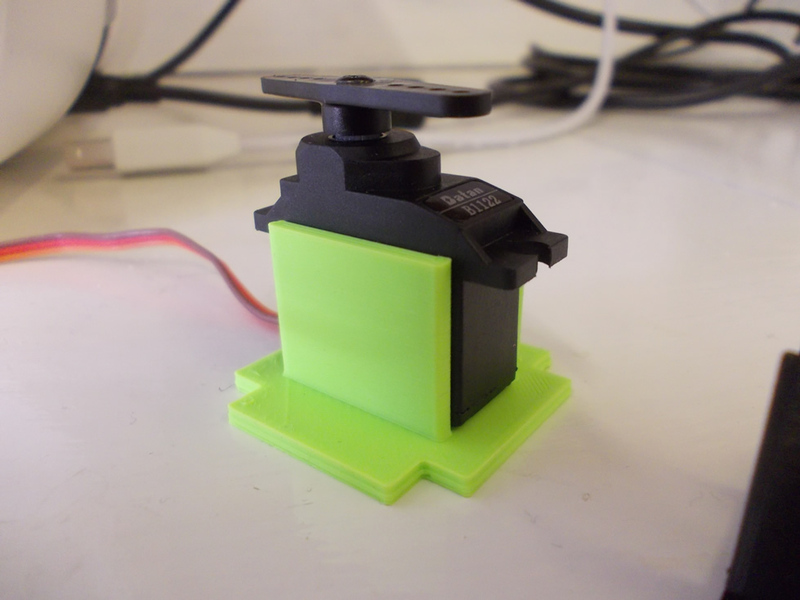 Version 2 of servo bracket (in neon green) and the original black servo bracket. 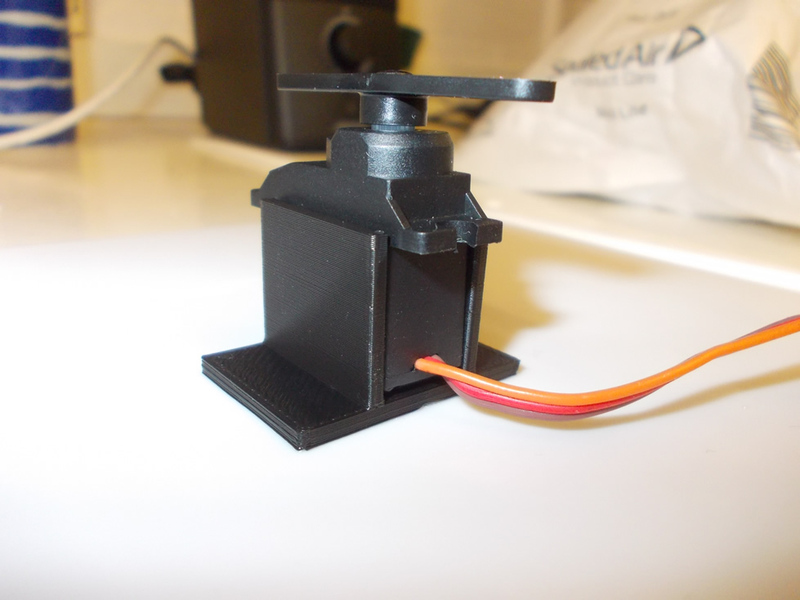 Close up of version 2 servo bracket. 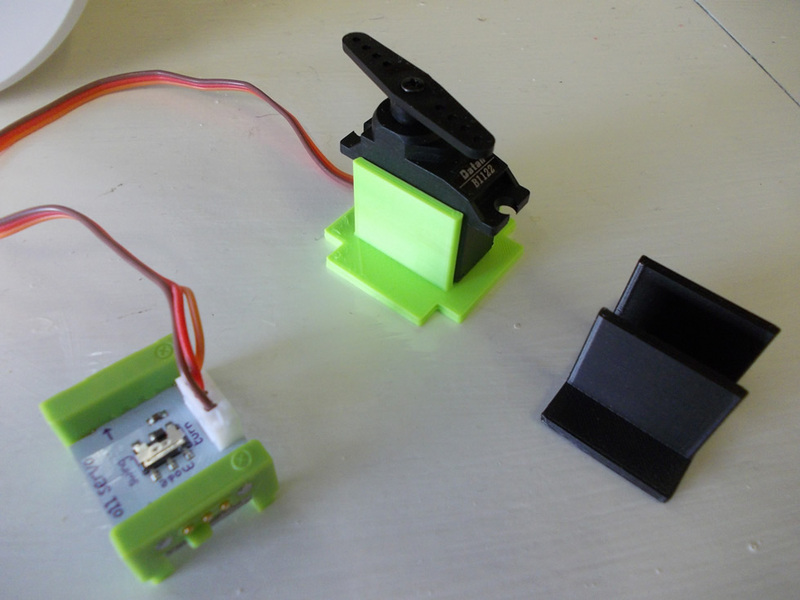 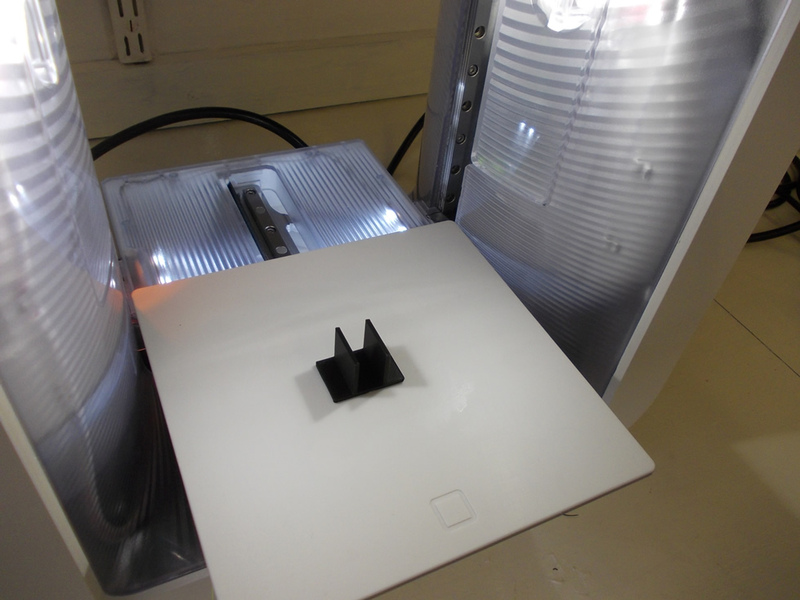 We are currently road testing the new servo brackets, and will post the results in the next week or so.